Everyone listed on the roster is invited to play for the Jr Jets spring season. Players that make the final roster should be notified by email or phone call from head coach. This will be the third year of the partnership between the Janesville Jets NAHL Hockey Club and the Wisconsin Elite Hockey League (WEHL) to provide motivated Wisconsin High School hockey players an opportunity for unmatched exposure to complement the development they are receiving in WEHL. The partnership has been successful! Several former Jr. Jets/WEHL all-stars have made NAHL teams for this coming season including; Christian Bardarson, Nick Techel, and Max Techel. In addition, several others have “moved up” from the Jets/WEHL all-stars to Team Wisconsin the following year; Max Techel, Robby Newton, Dane Sjowall, Hunter Stracha, Peter Genatempo and Walker Haessig. The Jets/WEHL all-star teams will participate in the NAHL Showcase in Blaine, MN from September 20-23 and in the Nike-Bauer World Invite in Chicago, IL from November 2-4. The NAHL Showcase is the most heavily scouted hockey event in North America. There will be more than 300 NHL, NCAA, USHL and NAHL scouts in attendance. Every Division 1 school will be there. The World Invite is heavily scouted, too. 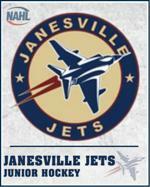 Tryout Cost - $50.00 *Tryouts will be run by Janesville Jets NAHL head coach Gary Shuchuk. Cost of the Jets/WEHL all-star teams is $400 per player. Top consideration will be given to Team Wisconsin final camp cuts as well as WEHL coach recommendations. But the tryout is open to all Wisconsin HS players. Coaching staff will be announced in the next two weeks. Practice schedule will be announced at tryouts. Practices will be on Saturdays so as not to conflict with WEHL games. The Janesville Jets are proud to share our brand and reputation with motivated Wisconsin HS players seeking exposure to college and junior scouts. The Registration "2001 Boys Team" is not currently available.